Have you ever needed to share your contacts for an organization or work project? By delegating your contacts in the Google Contacts manager, you can do just that. 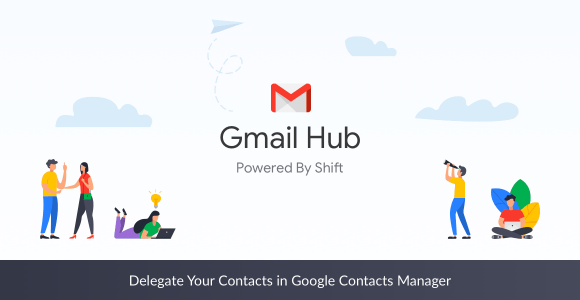 With G Suite and Shift, you can spend less time organizing your Google Contacts and spend more time being productive. Giving another Google user access to your contacts could be something you do for a variety of reasons. Often, delegating contacts is a perfect way to share your contacts with your virtual assistant or teammates. By delegating your contacts, these users can add and update your contacts with further information. For example, if your contact has an extra phone number or a work address as well as a personal one. The invited users will now have access to your contacts. Note: To delegate your contacts, both you and your delegate need to be within the same G Suite organization. It’s also worth noting that doing this won’t give your delegate access to your email. However, if that’s something you also want, check out our guide on Gmail delegation here!